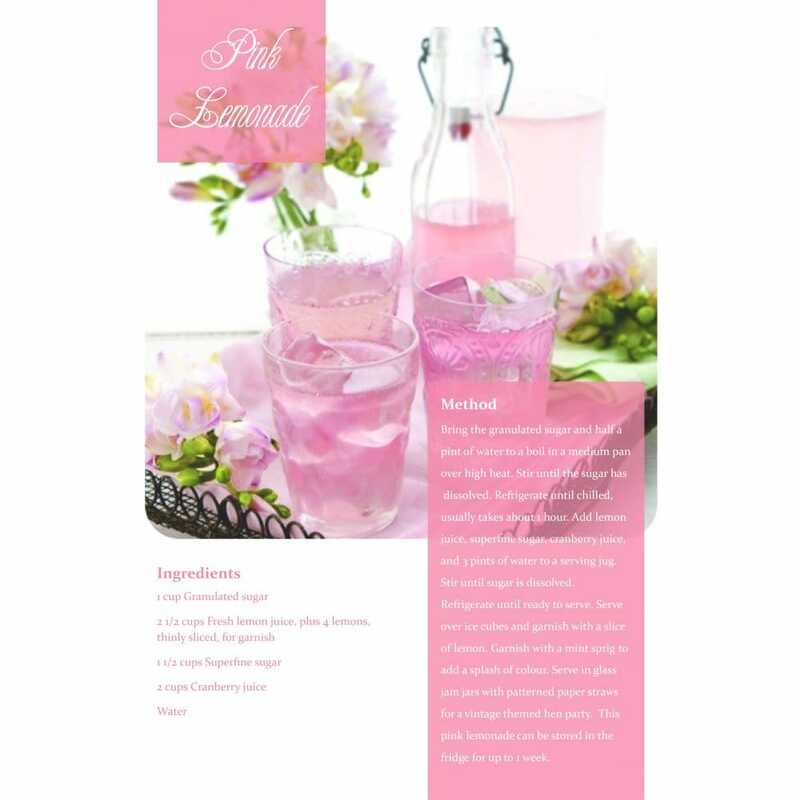 For a light, sweet refreshment to accompany your Hen Party pink buffet, try this gorgeous, homemade Pink Lemonade. Made with sugar, lemon juice, cranberry juice and water, this pretty pink concoction couldn't be simpler to replicate. Download your free recipe for full ingredients and method.